The world has seen an uprising trend in businesses offering loyalty programs as well as in people using them over the past two decades. Loyalty programs benefit both the consumers and the businesses. Consumers get discounts and special offers and businesses get a potential increase in sale as well as economical customer retention. During a poll conducted in the US, 87% of shoppers reported that they want brands to have loyalty programs, and 54% of consumers say that they would consider doing more business with a company if they offer loyalty rewards. Today’s consumers love finding new and exciting offers, especially if the offers save them some money. People expect great loyalty programs in order to commit to a brand. This gives stores with good loyalty programs a big advantage. Traditional loyalty programs offer a slight discount that is converted into points, which are only usable at the stores they were earned at, in a hope that it may provide a trigger for the customer to return and spend their points. However, a better option has emerged. Why should businesses consider Blockchain loyalty programs? Businesses have used their traditional loyalty programs for ages now. However, with technology innovations, new trends like blockchain have emerged which provides great benefits. Reducing costs — Businesses can easily create loyalty programs which can save them a lot of funds, especially in the customer acquisition department. Blockchain adds to this by using a smart-contract technology, which improves the whole process greatly. Global token based Blockchain loyalty program — It offers much more than simple loyalty benefits. Businesses can potentially increase their market reach, both domestically and internationally. Shared loyalty experience — Imagine getting your loyalty rewards or points in a café and spending them in the bakery getting a discounted (or even free!) fresh croissant to further enrich your coffee break! Creating such connections of small businesses in a geographically small place makes every business thrive and creates a community! Retail and B2B partnerships — Loyalty programs can transfer loyalty points easier from one system to another by utilizing tokenization. Blockchain loyalty programs have come up as a response to the shortcomings of Traditional loyalty programs. Dewber is an example of this. By using Blockchain technology, loyalty programs can offer a whole new layer of value to its users. All in one loyalty and brand ubiquity includes numerous brands and businesses, allowing cross-channel redemption. This means that spending money in your favorite café grants you points that you can use at your supermarket! Blockchain loyalty programs such as Dewber are more diverse and include more businesses that you can spend your loyalty points with! Token incentive is another great part of Blockchain-based loyalty programs. Dewber offers an ability to earn the Dewber tokens from everywhere and spend them anywhere in the world. No expiration of value is a major perk that Blockchain offers. Once a token is received, it is permanent. The option to spend the token does not diminish or disappear as the time passes. Secure and fraud resistant, where every transaction is traceable allows customers to feel safe using loyalty programs. Blockchain also prevents fraud, double spending and manipulation at any point in the process. What is Dewber and how does it work? 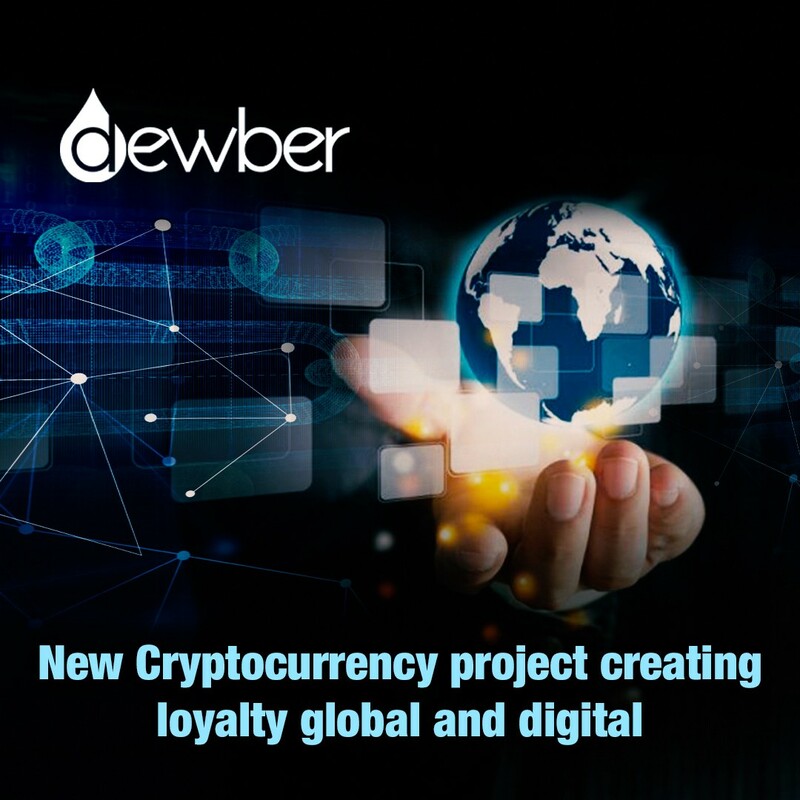 Dewber is a global, digital, Crypto loyalty program. It is the new generation of loyalty programs. It provides more benefits to both the customers, and the businesses all around the world. Since the platform is based on the Blockchain, it is completely transparent and safe. The only requirement is a simple installation of the Dewber app. Customers will earn both specific rewards from businesses and global crypto tokens. The tokens can be redeemed all around the world, in participating businesses on Dewber! It is as simple as that! It does not require a card or a voucher, so it is completely digital and easy to use!